March is Women’s History Month. Often women are left out of history so we’re taking a look at the herstory of women in Ghana – Some of the most impressive and dynamic women on the continent. Women first appeared in Ghana around the same time as men. This was over 2,000 years ago. However, 2016 years later women do not enjoy parity in terms of social structure, education, health rights, economic rights and employment. Lets take a look at the development of women’s rights in Ghana and the women who have pushed for equality. High School Class in Ghana. There is a proverb that has been repeated many times; “If you educate a man you simply educate an individual, but if you educate a woman, you educate a whole nation”. Many men and women have championed this wisdom in supporting equal education rights for girls across the world. Females make up 51% of the young population in Ghana but they do not have equal respect. Domestic violence is a huge issue and women often lack the capacity to engage in economic activities, access proper health or take part in decision making at a community level or often even a personal level. The Millennium Development Goal to promote gender equality and empower women has been partially successful on one front at least – school enrollment rates. The UN reports that since the government scrapped education fees in 2005, both primary and secondary school enrollment has increased by 10%. In primary school there is nearly an equal number of girls to boys. However when it comes to girls attending secondary school, that ratio dips. Fortunately though, young girls in Ghana have some strong role models to look to. 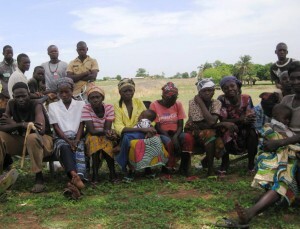 Women have traditionally held important roles in Ghanaian tribes. In the Accra region of Ghana, the Ashanti tribes regard women as the leaders or ‘Queen Mothers’ and they are responsible for community decisions. Historically, this powerful female led her tribe into battle and tended for the wounded. In much the same way I grew up admiring Boadicea for her fearless leadership (forgiving all the pillaging) Ghanaian girls have a heritage of strong, courageous women to cherish. Leader Nanny of the Maroons was Queen when the British attempted to colonise Ghana during the 1700’s. She was recognised by both sides as being a fearless military leader and a skilled fighter. There was also Akyaawaa Oyiakwan who led two diplomatic missions in the 1800s and negotiated the Maclean Treaty. We should also celebrate Ama Sewa, who returned from exile in 1838 to lead her people back to Asante and was succeeded by her daughter and granddaughter who both ruled over thriving populations. That is a pretty strong female dynasty. The year 2000 saw record numbers of murders of women in Accra, leading to a Domestic Violence Bill, which then led to the Women’s Manifesto for Ghana, demanding that by 2008 30% of the government should be female, reaching 50% by 2012. As it stands, the current Ghanaian government, has only 6 of the 21 ministerial positions filled by women, including Marrieta Brew Appiah-Oppong the Minister for Justice and Hannah Tettah the Minister for Foreign Affairs and Regional Integration. But there has been some progress with the role of women in legislation and government. In 1982 Nana Konadu Agyeman-Rawlings, the first lady of Ghana used her position to establish a Women’s Movement. The 31st December Women’s Movement sets out to empower women in all sectors of life and reduce the cycle of poverty among women and children. Its achievements include opening day-care centres across Ghana and supporting women beginning their own business ventures. Trying to restore Ghana’s pre-colonial culture of female leaders, there is now the National Council for Women Traditional Leaders, established in 2010. These are the women responsible for the cultural legacies and upholding the traditions of their communities. These Queen Mothers are the decision makers and the protectors of other women and children. There is another well-known proverb that also comes from Ghana – Softly Softly Catchee Monkey. Patriarchal Colonialism may have halted the reign of women in Ghana, but with organisations like The Grassroots Sisterhood Foundation and The Community Self-Reliance Centre who work to empower young girls and women, the future is hopeful.